Are you faced with a hefty supply of leftovers after a holiday meal? You might have a slew of hungry kids on vacation or cheering football fans in the man cave. Get creative and move beyond the hot turkey sandwiches. turkey shepherd’s pie (serves 6) This is a stick-to-your-ribs meal your entire family will love. A somewhat rustic version of the traditional dish, it uses cooked turkey instead of raw ground beef or lamb, and chunky potatoes instead of mashed. 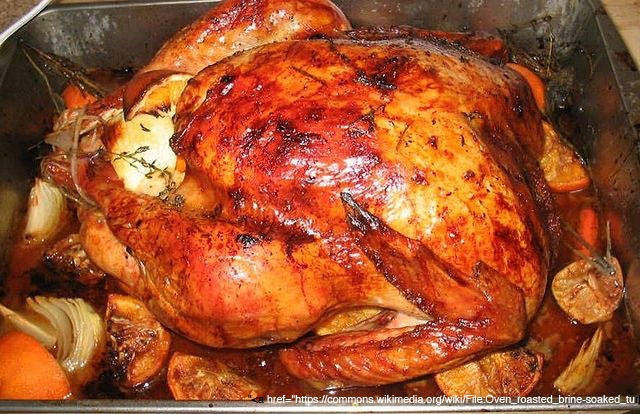 Shredding both white and dark meat imparts the best flavor by allowing it to soak up the flavorful juices. You can also prepare this with chicken. Set oven rack to upper-middle; preheat to 375 degrees. Cover potatoes with water by an inch, bring to boil in a large pan with 1 Tbs salt, reduce to medium heat and strong-simmer for 15-18 minutes. Drain very well. Return to pan, gently fold in 5 Tbs of butter, ¼ tsp salt, and ½ tsp pepper. Cover and set aside. In a 10-inch ovensafe skillet, melt 1 Tbs butter over medium-high heat. Add onions and carrots. Cook till golden brown, about 5 minutes. Add garlic and thyme and stir till fragrant, about 30 seconds. Add sherry and scrape up any brown bits. When pan is nearly dry, about 1 minute, stir in chicken stock. Bring to a boil. Mix cornstarch with ¼ cup water and whisk into broth mixture, return to a boil and stir till thickened, about 1 minute. Remove from heat and stir in lemon juice, peas, and shredded turkey. Adjust salt and pepper to taste. Spoon potatoes over entire surface of turkey mixture. Brush with beaten egg. Place in oven and cook till bubbling—about 15 minutes. Turn oven to broil and cook until potatoes are golden brown, 5-7 minutes. Cool for 15 minutes before serving. cranky turkey sandwiches Remember Bailey’s Deli on Bennett Drive? I loved their food—especially their amazing sandwiches with traditional turkey and cranberry sauce plus a few surprises. I like a lot of cranberry sauce! Slice bread if necessary. Baguettes or rolls should be halved lengthwise. Spread bottom half with cream cheese. Add lettuce or sprouts. Amounts are up to you. Variations: add sliced tomato and/or red onion and grilling the bread beforehand. football sliders (serves 4) I adapted this recipe from a Southern standard. These go great with frosty drinks and a nice relish dish of pickles, apple slices, and celery sticks. Make these with turkey or ham. You can assemble these yummy little sandwiches a day ahead. Brush with sauce, cover, and refrigerate. Just bring them to room temperature before baking. Your fans will be cheering you! Preheat oven to 350. Slice rolls horizontally and spread 4 Tbs of mustard on cut side tops and bottoms. Arrange all bottoms side by side, cut side up, in a 13 x 9 baking dish. Fold or cut meat, then cheese, to fit on roll. Season with pepper. Cap with roll tops. In a medium bowl, combine butter, onion, and poppy seeds. Microwave till butter is melted and onion soft, about 1 minute. Whisk in Worcestershire, garlic powder, and remaining 2 Tbs mustard. Generously brush tops and edges of sandwiches. Spoon any remaining solids over tops. Cover dish with foil; let rest for 10 minutes to absorb the sauce. Bake on middle rack 20 minutes. Uncover and continue to bake for another 7-9 minutes so cheese is soft and tops are firm. Let cool 10 minutes before serving. Check back often for recipes, leftover ideas, and cooking tips! This entry was posted in Chicken Recipes, Holidays, Turkey Recipes and tagged baguette, butter, cranberries, cranberry, cream cheese, mustard, onion, poppy seeds, potato, sherry, Swiss cheese, turkey by cmtstardesign. Bookmark the permalink.